After a 26-year break, the Republic of Ireland reopened its mission in Kenya late last year. The Business Daily’s George Ngigi spoke to the ambassador Vincent O’Neill on the vision behind Dublin’s renewed interest in Nairobi. What drove Ireland into reopening its embassy in Kenya after such a long time? Ireland closed the embassy in 1988 for purely economic reasons — it was a period of recession in our country but our relations with Africa have since changed to focus on development co-operation. We now have 10 missions in Africa. In the recent past, we have realised that Kenya is East Africa’s top economy and a major player in the region’s economic integration effort. The Irish community here, of about 2,000 people, also put pressure on our government to reopen the embassy to enable them access visas and consular services. In the past three years, Ireland has redefined its relationship with Africa to share in the emerging economic opportunities. We understand the purpose of an embassy is to offer consular services, political engagement and to create economic opportunities for Irish companies. But our role also includes facilitating Kenyan companies to enter the Irish market. Ireland has a history of over 100 years in Kenya mostly around missionary and NGOs so the Kenyan people are well-disposed towards Ireland. 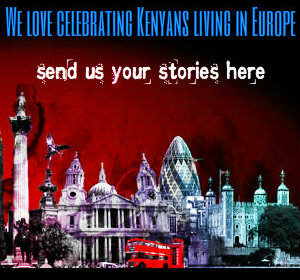 Kenya opened an embassy in Dublin in 2007 — an indication of strong relations between our countries. What are the trade volumes between the two countries? Data provided by the Central Statistics Office in Ireland shows that total annual exports to Kenya grew from €10.11 million in 2005 to €27.82 million in 2014, representing a 175 per cent increase over this 10-year period. Key exports from Ireland include essential oils and perfumes, office and data processing machinery, beverages and dairy products. Over this same period (2005-2014) Kenya’s annual exports to Ireland rose from €12.78 million to €20.08 million. Flowers, fruit, vegetables, tea and coffee accounted for 90 per cent of Kenya’s exports to Ireland in 2014. The total annual trade, incorporating exports and imports, between Kenya and Ireland increased from €22.89 million in 2005 to €47.90 million in 2014. Ireland is the third-biggest consumer of tea in the world per capita and it likes black tea — Kenyan tea. It was the Irish missionaries who first brought coffee to Kenya — the Holy Ghost Fathers. Right here in Nairobi at St Mary’s there is a plaque recognising the role that Irish fathers played bringing coffee to Kenya. What would you say are Ireland’s leading exports to Kenya? Jameson and Guinness are very strong international brands brewed and exported from Ireland. Kenyans are the second-largest per capita consumers of Guinness in the world after Ireland. There has been a particularly strong growth in beverages exported from Ireland over the past two years. We expect this growth to continue. We also export some dairy products like milk powder, butter, chocolates and pharmaceuticals to Kenya. My own view is that the trade figures are understated. We have to get a better handle on what the baseline is so that we can build on it. Going forward, it is likely that Irelands trade agency, which is called Enterprise Ireland, will open an office in Kenya in the next year so as to help boost trade between the two nations. Are there Irish companies that have expressed interest in entering Kenya since the embassy reopened and which sectors are they looking at? Several companies have expressed interest in entering Kenya especially in the area of agriculture. This is because we have a very strong history of value addition in agriculture. Forty years ago we used to export live cattle to the UK because we did not have the capacity to make different products, just like Kenya is exporting coffee beans, and somebody else makes money with it. But we have since changed that and within 40 years we have become the world leaders in agro-processing and biotechnology. Companies in the construction, pharmaceuticals, security and education sectors have also expressed interest. I, however, expect interest to grow with the establishment of the Ireland-Kenya Business Network whose aim is to create networking opportunities and already has more than 100 members. The network is divided into three categories; Irish businesses in Kenya who want to deepen their presence here, Irish businesses in Ireland that want to enter the Kenyan market and Kenyan businesses who want to engage with the Irish market. With your knowledge of the Kenyan economy so far, what do you think are some lessons that Kenya can learn from Ireland? Ireland is a major financial centre in Europe and the most successful European Union country in attracting foreign direct investments. That is one area we could share our experiences with Kenya. There are more than 3,300 foreign owned companies in Ireland, including some 1,200 of the world’s most successful companies. They have chosen Ireland because we are a springboard to the European market and are the only English speaking country in the Euro zone — making us very attractive to American multinationals. The important thing is that foreign direct investments have contributed to the creation of more than 250,000 jobs for Irish people. I must say that the key to attracting these companies is to have a strong political commitment to attracting them, including the offer of tax incentives. We also have a population of highly skilled labour which is also the youngest in Europe. We have a very successful agency called the Industry Development Authority — a one-stop shop for attracting and supporting foreign companies entering Ireland. You may as well know that more than 50 per cent of all planes leased globally go through Ireland. Irish companies are also involved in training of staff, fitting of aircraft and in maintaining aircraft — in fact KQ sends many of its planes to Ireland for servicing and maintenance. We could also share with Kenya how integrating into a larger EU market has benefited us and how Kenya could use that experience to benefit from the EAC market.